“The Grand Seduction” (2014). Cast: Brendan Gleeson, Taylor Kitsch, Gordon Pinsent, Liane Balaban, Mark Critch, Mary Walsh, Matt Watts, Anna Hopkins (voice). Director: Don McKellar. Screenplay: Michael Dowse and Ken Scott. Web site. Trailer. The tiny port town of Tickle Head, Newfoundland is a shadow of its former self. With the collapse of the cod industry, the once-proud village of hard-working fishermen, regrettably, has been reduced to a community of aging, unemployed welfare recipients. The locals begrudgingly accept their monthly government support checks to sustain themselves, but they’d much rather be earning their keep if the opportunity were to present itself. They hold out hope that something good will happen, but it seems like the odds are perpetually stacked against them. A glimmer of hope emerges, however, when the community learns it could be in line to become the site of a new petroleum product recycling plant. There’s just one catch – the town needs to find a full-time doctor before the plant’s owner will approve it as the location of the new facility. So, to fulfill that requirement, Tickle Head’s acting mayor, Murray French (Brendan Gleeson), undertakes the task of finding a physician who’s willing to make a home in the seaside hamlet. It’s a potentially tall order, but, thanks to a fortuitous twist of fate, Murray’s dream just might come true. When Dr. Paul Lewis (Taylor Kitsch) passes through the airport in nearby St. John’s, he’s caught trying to sneak through with a small quantity of an illegal substance. Despite his claims that it’s for medicinal purposes, airport officials don’t buy his story. As a consequence, he’s given an interesting choice – jail time or moving to Tickle Head to become the community’s physician on a 30-day trial basis (thanks to a former resident-turned-airport security screener). For the urbane, cosmopolitan doctor, there doesn’t seem to be much difference between the two options, but, considering the prospect of time behind bars, he reluctantly agrees to try life in Tickle Head. Murray is thrilled at the news. He’s convinced that, if he and his fellow townsfolk can make life irresistible for the new arrival, they might be able to convince him to stay permanently. And, with a doctor in residence, the town would thus meet the requirement to qualify for the plant, a development that would mean jobs for all of the locals. Murray sincerely believes Tickle Head can win him over, but that may be easier said than done. To sway the good doctor’s opinion, Murray enlists the assistance of fellow residents (Gordon Pinsent, Mark Critch, Matt Watts, Mary Walsh) to make Dr. Lewis feel at home. Using various investigative means (some of them less than scrupulous), the cunning townsfolk do all they can to find out what he likes, including his taste in food, music and entertainment. For instance, when the locals discover that Paul is a big fan of the sport of cricket, they form an impromptu league, despite knowing virtually nothing about how the game is played. Likewise, when Tickle Head’s only restaurant learns that Paul enjoys South Asian fare, the staff quickly adds it to the eatery’s menu of such staples as fish chowder and hot turkey sandwiches (a natural fit for its everyday cuisine, right?). But, despite the moderate success the locals attain with these gestures, the doctor still feels tied to his big city life. In fact, he looks forward to returning home and reuniting with his girlfriend (Anna Hopkins), whom he phones almost daily. With the ante upped, Murray and company double their efforts to gain Paul’s confidence. But some of those measures are a little extreme and don’t always pan out as hoped for. For example, when Murray tries to coax the town’s beautiful young post mistress, Kathleen (Liane Balaban), into taking an interest in the new resident, she flatly refuses. And other efforts, like those aimed at intentionally tugging at Paul’s heart strings, often require Murray and others to jump through some pretty huge hoops. The biggest challenge, though, is how to keep their elaborate scheme from becoming exposed, something that could cause everything to fall apart. As Paul’s 30 days draw to a close and the plant owner nears a decision about the location of the new facility, the pressure mounts. Will Murray’s “grand seduction” pay off? Or will everything come undone as it becomes increasingly difficult for the locals to keep a lid on their big secret? There’s a lot at stake – for everybody – but then that generally comes with the territory when conscious creation gets applied en masse. Indeed, “The Grand Seduction” is an excellent example of conscious creation applied on a broad scale, something the philosophy’s practitioners refer to as a co-created “mass event.” As that concept is applied in this context, Tickle Head’s residents all work toward materializing a common goal, one for which they draw upon a concoction of beliefs aimed at fulfilling that objective. And, even though each participant in this scenario has his or her own individual role to play, they’re all nevertheless intent on attaining a mutually agreed-upon result. It’s an inspiring sight to see, too. Imagine what we might be able to accomplish if we were to employ our joint manifestation efforts as effectively as they do! To make their plan happen, the locals need to tap into several key aspects of the conscious creation process. For instance, in addition to envisioning a common outcome, they must also be innovative in how they bring about that result. They must open themselves up to new probabilities, using novel tactics (and formulating appropriate beliefs to support them) to manifest the necessary conditions for achieving their desired outcome. When it comes to winning over Paul, for example, the townsfolk must learn what it takes to get his attention and, in many cases, how to implement those measures. Such efforts often require them to become proficient at things about which they know virtually nothing, but those initiatives have the added benefit of uncovering personal capabilities not previously known (or perhaps even imagined). This enables significant spurts in personal growth, development and evolution, hallmark qualities of the conscious creation principle that we’re all in a constant state of becoming. Moreover, the residents of Tickle Head must draw upon all of their personal conscious creation resources to make their plan work. To that end, they need to employ what’s known as “the magical approach” to this practice, an undertaking that requires the use of their intellect and intuition – and the integration of the impressions that come from each – to form the beliefs necessary for successful manifestation. Of particular importance are the insights that come from our external and internal powers of perception, for they frequently provide valuable input for the belief formation process. Again, in winning over Paul, the townsfolk must use their abilities to manifest what pleases him, paying close attention to his likes and convincingly bringing those things into being (not always the easiest feat given their inherent unfamiliarity with many of his tastes). But, if Tickle Head’s residents hope to be successful, they must employ all of their metaphysical wherewithal to get those results. In particular, they must be so effective at what they’re doing that they can realize that outcome and get their target to believe in “authenticity” of their efforts. Indeed, if they can pull that off, then they must be doing something right. As the story unfolds, it’s easy to see what roles Murray and his colleagues play in the creation of this mass event. But they’re not the only actors in this little drama. The scenario in question here also includes others, like Paul and Kathleen, who play very different parts. And, even though they’re participants in the larger creation, they each have their own individual contributions to make to it that are based on their particular considerations, especially with regard to the matter of life lessons. Paul, for example, is primarily the object of the locals’ plan, and he plays his role well. But his participation in this scenario includes additional criteria that employ other manifestation beliefs that are purely his own, based on what he’s meant to get out of the situation. Most notably, these circumstances enable him to attract conditions conducive for learning about the power of discernment, a lesson that’s important to his life overall and not just this particular situation. Kathleen, meanwhile, plays the role of teacher to her fellow townsfolk by instructing them on the value of being genuine. When she refuses Murray’s request to entice the affections of the good doctor, some of the locals might say that she’s not going along with the plan, that she’s not a team player. However, considering the “deception” inherent in Murray’s plan, it’s also apparent that he and his peers are not acting from the purest of intentions. And that’s where Kathleen steps in; her role is to teach those around her about the value of integrity, the quality most important to the successful realization of authentic results. While her contribution may frustrate her peers and make their desired outcome more difficult to achieve, her involvement nonetheless adds a significant element to the overall scenario at work here. As diverse as all of these roles may seem, they are all still part of the larger whole, all integral to the creation of the collectively manifested mass event. Some of them may seem like they’re operating at cross-purposes, yet they’re all related and all necessary for the mass event to unfold. That’s what comes from connection, the quality that binds everything in the realm of creation, no matter how seemingly “unrelated” or contradictory its individual components may appear. It’s the glue that holds a scenario like this together and makes it a mass event to begin with. And, when all of the probable mass events out there are combined, we end up with what we know as the Universe, the consciously created construction that we and our divine collaborator continually create and re-create in every instant. The little drama playing out in Tickle Head may be just one of those probabilities, but it’s part of the overall greater chorus of creation, warts and all. Largely based on the 2003 French Canadian film “Seducing Doctor Lewis” (“La grande séduction”), “The Grand Seduction” is a charming tale, full of good fun, gentle humor and delightful whimsy, somewhat reminiscent of the TV series Northern Exposure (1990-1995) and the film “Local Hero” (1983). The plot is patently absurd, so one must be willing to suspend belief when viewing it, but, for those capable of doing so, it’s thoroughly enjoyable. Its beautifully filmed location shots, lively soundtrack and ample laughs make this offering a fun time at the movies. Fulfilling life’s grander aims often requires a collective effort, one in which we all work together with determination and integrity for the greater good. Staying on the path that takes us there can be fraught with challenges, but, when we have the perseverance to see things through, the results can truly astound us, as the residents of Tickle Head can attest. To be sure, the power of conscious creation can be quite seductive and, when employed properly, yields a truly gratifying sense of satisfaction – for everyone. “Words and Pictures” (2013 production, 2014 release). Cast: Clive Owen, Juliette Binoche, Bruce Davison, Valerie Tian, Adam DiMarco, Josh Ssettuba, Willem Jacobson, Navid Negahban, Amy Brenneman, Janet Kidder, Christian Scheider, Andrew McIlroy. Director: Fred Schepisi. Screenplay: Gerald DiPego. Web site. Trailer. Which is more powerful – words or pictures? That’s a question that artists, philosophers and academicians have debated for eons. It’s also one that the students of an upscale prep school are grappling with thanks to the inspiration provided by two of their teachers, long-tenured English instructor Jack Marcus (Clive Owen) and newly arrived arts teacher Dina Delsanto (Juliette Binoche). But the friendly academic rivalry stoked by these two passionate advocates tells only part of the story of their relationship; there’s a lot more going on between these playfully feisty combatants. As the spirited jocularity unfolds, it quickly becomes apparent there’s also considerable chemistry between these two amicable foes. Despite their artistic disagreements, there’s an undeniable affinity drawing Jack and Dina together. But is that attraction enough to sustain a partnership? That’s a crucial consideration, given the serious personal challenges each of them faces. Jack, for example, wrestles with a number of issues. Despite his track record as a published author and his popularity with the students, he’s under the microscope from the school’s headmaster (Navid Negahban) and school board chair (Amy Brenneman) for his perpetual tardiness, his sloppy handling of his pupils’ class assignments and his progressively uninspired work on the school’s magazine. And then there’s his drinking, a problem that has grown steadily worse, threatening his job security, his reputation, his judgment and his relationship with his adult son, Tony (Christian Scheider). His growing inability to write – and his diminishing desire to deal with it – test his resolve, placing his future as an author and teacher in serious jeopardy. Dina, meanwhile, struggles to paint due to a severe case of rheumatoid arthritis. It has become so debilitating that she must walk with a cane and rely heavily on her sister, Sabine (Janet Kidder), for help with even the most basic of everyday tasks. What’s more, Dina has grown progressively frustrated that she can envision what she wants to create but can’t get her body to cooperate in its execution. Having made a name for herself as an accomplished artist, Dina’s new circumstances have seriously deflated her enthusiasm for her art. At times it’s almost more than she can bear, both physically and emotionally. Nevertheless, the friendly feud and the growing attraction that arises between the two protagonists give each of them a renewed sense of purpose, as well as a revitalized interest in their respective vocations. The question for them is, can they sustain their artistic fervor and their emerging bond in the face of their individual challenges? Indeed, will they be able to find the means needed to carry themselves forward? It all ultimately depends on what they manifest through the conscious creation process. It’s been said that “necessity is the mother of invention,” and, for Jack and Dina, that’s very much the case if they’re to continue pursuing their respective callings. If Dina is going to continue painting, for instance, she must come up with new techniques for applying pigment to canvas, given the painful restrictions her condition has placed upon her logistically. Consequently, considering her circumstances, she may even need to devise an entirely new look for her finished works if she’s to remain viable as an artist. But, with the renewed resolve she’s amassing, she just might succeed. So, from a conscious creation perspective, one might legitimately question why Dina has created the circumstances she’s experiencing. Given the highly personal nature of reality creation, one can only speculate, but perhaps they’re intentional to help birth those new painting techniques and artistic styles. Regardless of whether or not she’s aware of her true intents, those creations might not have been given physical expression were it not for her debilitated condition. Now, this is not to suggest that her approach is an ideal (or even recommended) way of bringing about these results, yet it is nevertheless a valid expression of creativity that’s just as viable as any other. In a similar vein, these circumstances also reflect Dina’s evolution, both as an artist and as a conscious creator. They illustrate the well-known principle that we’re all in a constant state of becoming, ever growing and changing as beings who consciously manifest our destinies. To be sure, it can become discouraging when we try to continue pursuing our interests when impediments pop up in our way. Maintaining motivation and passion can be incredibly difficult under those conditions. So it’s under those circumstances where the impact of catalytic sparks can play a crucial role. These influences inspire us – sometimes even compel us – to forge ahead, no matter what obstacles may appear. They prompt us to take a good, hard look at what we create, perhaps in new and different ways, thereby not only allowing us to continue engaging in those pursuits, but also to expand their range of expression, taking them into previously unexplored territory. Catalytic sparks can come in a variety of forms, too. On the one hand, they can be intangible, taking the form of ideas or theories, propositions that prompt us to ask “what if?” On the other hand, they can be wholly tangible, taking the form of people, events or other physical phenomena. In the case of Jack and Dina, they serve as catalysts for one another, their playful combativeness pushing one another to continue creating, despite their impairments, if, for no other reason than the sheer enjoyment that each of them gets out of the act of manifesting their artistry. Their personal attraction for one another reinforces this effect, too, the flames of their creative passions fanned by their smoldering romantic feelings. And, thankfully, when confronted with the personal difficulties each of them now faces, Jack and Dina have been astute enough to draw such motivating influences into their lives when they need them most, urging them to continue using their talents, to continue doing what each of them does best. In their own way, Jack and Dina also symbolize the elements that we each draw upon when practicing conscious creation. Jack, as a writer, symbolizes the intellect, prompting thought through the words he uses as tools, while Dina, as a painter, represents the intuition, evoking feeling through her finished works. Yet, as anyone who practices conscious creation can attest, we need both of these influences if we’re to create successfully, since both are integral to the formation of the beliefs and intents we draw upon for manifesting the reality around us. And, even though advocates of each element like to believe they can get along with one and not the other (just as Jack and Dina sometimes do during their more combative moments), they truly need both if they’re to realistically achieve success. Just as it takes the cooperation of two individuals to make a relationship work, so, too, does it take the influences of the intellect and the intuition to make effective conscious creation function. Jack and Dina symbolize these respective notions in all their glory, but their pairing clearly represents the fusion of these elements. And, while watching their interplay on screen, one can’t help but hope that they succeed in their efforts – on all fronts. “Words and Pictures” is a charming romantic comedy that’s intelligent and witty in many ways, a true cut above most of the offerings in this genre. The natural chemistry between Owen and Binoche is undeniable, with both leads playing this material for all it’s worth, evoking genuinely heartfelt feelings as their story unfolds. And the paintings depicted in the film, created by Binoche herself, are quite a sight to see, an added visual delight to the picture’s pleasantly appealing cinematography. With that said, however, the film also comes up a little short in several regards. The subplots featuring Jack and Dina’s students (Valerie Tian, Adam DiMarco, Josh Ssettuba) generally bog down the flow of the central narrative, and the storyline involving Jack’s son contributes so little that it could have been left out entirely. Some elements of the main story (such as those related to Jack’s drinking) are a bit clichéd as well. As for the core feud between Jack and Dina, some viewers have contended that it’s too rhetorical and academic to be believable, and, to an extent, I can see the merits of that argument. However, for my part, I’d much rather that the film overstate a point like this than exalt the kinds of utterly mindless material that so many other pictures do these days. I’ll gladly support a movie that seeks to elevate its viewers’ thinking rather than dumb them down with jokes about bodily functions and other inane topics, and “Words and Pictures” scores big on this front. Creating a piece of art, a written work or our reality aren’t always the easiest undertakings we face in life. But, when we revel in the process and the finished results, we feel ourselves swelled with pride and satisfaction for a job well done. “Words and Pictures” reminds us of these truths, especially for those times when we’re on the verge of losing faith in them. The joy that comes from such efforts, not to mention the love and admiration that inspire them, are something to behold, something that even words and pictures may be inadequate to express. In such cases, the results speak for themselves – and they often do so in volumes. I'm pleased to announce that I'll be back on the radio this weekend, when I'll be a guest on "Tell Me Your Story," with host Richard Dugan, on KZSB AM 1290 in Santa Barbara, CA. The broadcast airs Sunday June 22 at its new time, 10 pm ET, 7 pm PT, on KZSB's web site or on the host's web site. And, if you can't catch the show on Sunday, listen to an expanded rebroadcast of the interview on Monday June 23 at 8 pm ET, 5 pm PT, on A2Zen.fm. Tune in for some lively chat! I'm pleased to announce that I've been named a regular contributor to New Age News magazine, a monthly online publication available on the Apple Newsstand! Look for my first submission in the upcoming July 2014 issue. 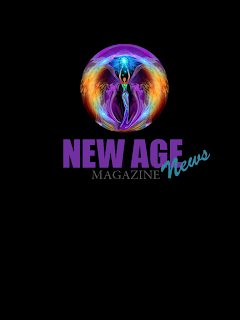 And, in the meantime, visit the magazine's Facebook page or its web site, www.newagenewsmag.com. My sincere thanks to the Spiritual Writers Network for its valuable assistance in alerting me to this tremendous opportunity. “Chef” (2014). Cast: Jon Favreau, John Leguizamo, Sofía Vergara, Bobby Cannavale, Emjay Anthony, Dustin Hoffman, Scarlett Johansson, Oliver Platt, Amy Sedaris, Robert Downey Jr. Director: Jon Favreau. Screenplay: Jon Favreau. Web site. Trailer. High-profile Los Angeles chef Carl Casper (Jon Favreau) is on the brink of what could be a huge breakthrough in his career. When influential food critic Ramsey Michel (Oliver Platt) announces plans to visit Carl’s upscale restaurant, the chef has a chance to let his creativity shine. And that’s important considering the enormous following Ramsey has amassed through his very popular blog, a soapbox that has imbued him with the power to make or break the reputations of aspiring culinary stars. Nevertheless, Carl and his kitchen colleagues, Martin (John Leguizamo) and Tony (Bobby Cannavale), are confident they can dazzle their esteemed guest, and they look forward to the opportunity to show off what they can do. But, just as Carl and company start preparing for Ramsey’s visit, they have the wind knocked out of their sails by Riva, the restaurant’s owner (Dustin Hoffman), who informs them how he wants them to structure the evening’s menu. As someone who’s more concerned with keeping his tables filled than showcasing inventive cuisine, Riva instructs Carl to play it safe by offering a selection of his “greatest hits.” Rather than letting his chef’s creative juices flow, Riva insists that Carl prepare a menu of tried-and-true staples in lieu of more daring fare. And, even though dishes like French onion soup and chocolate molten lava cake may be tasty in their own right, they aren’t especially original, and Carl knows that. But, to appease his boss (and keep his job), he begrudgingly complies with what Riva wants. Needless to say, Ramsey’s review excoriates Carl’s uninspired menu, which positively infuriates him. He’s obviously mad about what the critic wrote, but he’s also angry at himself for agreeing to compromise his creativity. Nonetheless, Carl doesn’t hesitate to make his displeasure known by launching an inflammatory Tweet that quickly goes viral. Carl and the firestorm of controversy surrounding him rapidly spiral out of control, and, before long, he finds himself looking for a new kitchen gig. When the chips are down, it always helps to have one’s family to lean on, but Carl has troubles in this part of his life, too. He’s estranged from his wife, Inez (Sofía Vergara), even though they remain good friends, and he struggles to maintain a meaningful relationship with his young son, Percy (Emjay Anthony), despite a strong desire to cultivate a better connection with him. Carl wants to smooth over things with both of them, but, no matter what he does, it seems like life always gets in the way – the same conditions that caused relations with them to become strained in the first place. Despite their separation, Inez still cares enough about Carl to want to help him out. She initially puts him in touch with her publicist, Jen (Amy Sedaris), who’s eager to parlay the controversy swirling around Carl into an overhyped (but lucrative) TV opportunity. But, the prospect of a big paycheck aside, Carl wants none of it, opting instead to look elsewhere to find sanity, stability and purpose in his life. So, to help him in that pursuit, Inez next connects Carl with her first ex-husband, Marvin (Robert Downey Jr.), the eccentric owner of a Miami-based equipment supply company who has a run-down food truck available for his use – that is, if he wants it. Making the transition from being a high-profile chef to a purveyor of food truck fare represents a significant change for Carl, but he jumps at the opportunity. With the help of Martin and Percy, Carl refurbishes the vehicle and embarks on a novel culinary odyssey – both literally and figuratively. The chef’s new adventure finally allows him to show off what he can do and to rebuild personal and professional bridges sorely in need of repair. In fact, the payoff for Carl’s reputation and well-being just may prove to be more rewarding than anything a favorable restaurant review from Ramsey ever could have provided. Carl’s transformation brings him face to face with a number of important considerations (both in his professional and personal life) that embody significant aspects of the conscious creation process. Perhaps the most important of these is the matter of integrity. When Carl compromises himself, as he does under Riva’s direction, he clearly suffers, for he’s not being true to himself in honoring his talents. He obviously knows better, too, but he goes along with the program anyway, a decision that costs him dearly. However, in choosing to abide by the notion that “fortune favors the bold,” a sentiment underlying the trust in one’s instincts and integrity, Carl ends up thriving, no matter how unlikely that eventuality might have seemed upon first glance. In successfully making the transition from one venue to another, Carl also aptly illustrates the principle of redemption, another hallmark of conscious creation. Considering the fact that we each have access to an infinite number of probabilities for manifesting our reality at any given time, it’s always possible to move from one that’s a “failure” to one that’s a success simply by choosing to shift the path we follow. Just because one opportunity doesn’t work out doesn’t mean we’re destined to experience more of the same when we pursue other options, especially if we’ve learned from our “mistakes” in the initial undertaking. Indeed, it’s always possible to redeem ourselves, no matter how much we may have failed in prior ventures, as long as we operate from a perspective of integrity and believe that success can genuinely be attained. Achieving success also relies on other conscious creation concepts that Carl employs in his endeavors, such as figuring out what’s really important in setting his priorities and reveling in the joy and power inherent in the act of creation. These principles help to bolster the metaphysical foundation built by the foregoing precepts, making the success that arises from them that much sweeter once they finally materialize. As Carl would surely attest, there’s a lot to chew on in that line of thinking! Despite the film’s generally effective exploration of the foregoing principles, “Chef” unfortunately doesn’t succeed quite as well as an entertainment vehicle. The picture’s episodic nature provides a number of humorous bits and heartwarming sentiments, as well as a host of mouthwatering food shots, but it also lacks a fundamental cohesiveness and overall clear sense of direction. It’s as if the picture never makes up its mind what kind of movie it wants to be. It’s a combination of part feel good flick, part road trip tale and part edgy comedy that doesn’t do justice to any of those genres nor create a distinctive niche to call its own. The picture’s endless references to various social media sites get tedious after a while, too, at times making the film look more like a commercial for Twitter than a theatrical motion picture. In short, “Chef” would probably make a pleasant enough viewing selection for your DVD queue, but it’s not the best option for an outing to the neighborhood multiplex. Finding the recipe for success can be a tricky proposition, regardless of the creation in question, be it a gourmet meal, a work of art or an independent film comedy (as this release itself aptly illustrates!). However, if we remain true to ourselves, our creative intents and the manifesting beliefs that transform our visions into realities, we have the potential to reap tremendous rewards and significant personal fulfillment. 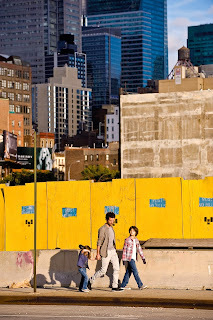 “Chinese Puzzle” (“Casse-tête chinois”) (2013 production, 2014 release). Cast: Romain Duris, Audrey Tautou, Cécile de France, Kelly Reilly, Sandrine Holt, Pablo Mugnier-Jacob, Margaux Mansart, Li Jun Li, Flore Bonaventura, Peter McRobbie, Jason Kravits, Peter Hermann, Dominique Besnehard, Sharrieff Pugh, Jochen Hägele, Amin Djakliou, Clara Abbas, Phil Nee. Director: Cédric Klapisch. Screenplay: Cédric Klapisch. Web site. Trailer. This film, the third in a trilogy that began with “L’auberge espagnole” (“The Spanish Apartment”) (2002) and was followed up with “Russian Dolls” (“Les poupées russes”) (2005), follows the exploits of a group of long-terms friends and lovers who are now about to turn 40. And, as they approach the midpoint of their lives, a key question hangs over them: Why must life be so complicated? That thought has been weighing especially heavily on the mind of novelist Xavier Rousseau (Romain Duris). In fact, the notion has so preoccupied his thoughts that he’s even begun writing a new book on the subject, a novel bearing the apropos title Chinese Puzzle. It’s also a work he can relate to personally since it’s largely based on his own experiences. So how did Xavier’s life get so complicated? It all started in Paris, where he had been living a comfortable life in an upscale flat with his British-born wife, Wendy (Kelly Reilly), and their two children, Tom (Pablo Mugnier-Jacob) and Mia (Margaux Mansart). However, Xavier’s seemingly blissful existence was anything but happy. He was stuck in a writing job he loathed, and tension on the home front had been mounting for some time. But, if all that weren’t bad enough, Xavier inflamed circumstances further when he announced that he had agreed to help his lesbian pal, Isabelle (Cécile de France), have a baby by volunteering to be her sperm donor. That decision went too far for Wendy, who promptly made an announcement of her own – that she was leaving Xavier and moving to New York with the kids. Wendy’s proclamation devastated Xavier, especially when he learned that she was also intending to move in with a new love interest, John (Peter Hermann), upon her arrival in New York. Despite his begrudging reluctance to let her go, he was determined not to let the same thing happen to his relationship with his children. So, to keep Tom and Mia in his life, Xavier made plans of his own to relocate to New York, taking up residence in a cramped, dingy Chinatown apartment. His decision was eased somewhat by the news that Isabelle had also just moved to the Big Apple to be with her new lover, Ju (Sandrine Holt). But, even with the companionship of a good friend for this new adventure, Xavier still had to contend with the reality of having his life completely disrupted practically overnight. Novelist Xavier Rousseau (Romain Duris, center) begins a new adventure in his life when he moves from Paris to New York to be close to his children, Tom (Pablo Mugnier-Jacob, right) and Mia (Margaux Mansart, left), in director Cédric Klapisch’s “Chinese Puzzle.” Photo courtesy of Cohen Media Group. * The birth of Isabelle’s baby and her subsequent (and less-than-subtle) flirtation with the child’s nubile young babysitter (Flore Bonaventura). With all this going on, it’s no wonder Xavier’s life has come to resemble a Chinese puzzle. But how its pieces all ultimately fit together remains to be seen, something that will invariably play out in both the pages of his book – and the everyday events of his existence. In an uncomfortable moment, novelist Xavier Rousseau (Romain Duris, second from left) attempts to keep his cool when confronted by the women in his life, including his ex-wife, Wendy (Kelly Reilly, second from right), his old frame, Martine (Audrey Tautou, right), and his lesbian pal, Isabelle (Cécile de France, left), in the new comedy release, “Chinese Puzzle.” Photo courtesy of Cohen Media Group. So what’s the answer to the question Xavier poses in the film and in his writing? Anyone versed in conscious creation can answer that inquiry in a heartbeat – the reason Xavier’s life (or anyone’s life, for that matter) seems so complicated is that he creates it that way in the first place. 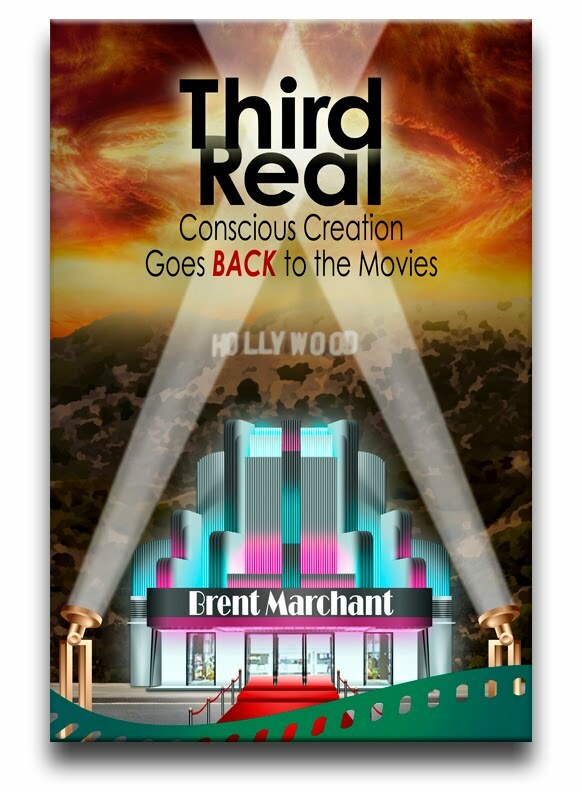 In a nutshell, the events transpiring in Xavier’s reality are a direct result of what he’s manifesting with his beliefs and intents through the conscious creation process. His existence flows from where his thoughts go. And, if he’s unhappy with what he’s creating, then he needs to look at the beliefs he’s drawing upon to materialize the existence unfolding before him, making changes as needed to create circumstances more to his liking. Given Xavier’s vocation – one that typically calls upon its practitioners to understand their characters’ insights and motivations – it’s actually rather surprising that he hasn’t already figured this out for himself. Some might say he’s too close to the situation and unable to see what’s really going on, an argument that has some merit. However, considering the genuinely clueless outlook Xavier seems to have regarding his circumstances, those skilled in conscious creation would probably maintain that his reality is the result of practicing un-conscious creation or creation by default. Under such circumstances, he lets life happen to him without any attempt to consciously understand how or why conditions materialize as they do. Following a path like this is akin to walking through a minefield, and conscious creation practitioners who watch Xavier on his perilous journey will probably hold their breath as he makes his way among the buried explosives. At the same time, they’re also likely to view the protagonist as Homer Simpson with a French accent. “What,” they may legitimately ask, “is he thinking?” But therein lies the inherent problem with creation by default – it’s carried out without much effort to become conscious of the way reality works. Xavier is not the only one in this film following the path of un-conscious creation. One need only look to Isabelle’s experiences as well. Here’s someone who has a beautiful new baby and a devoted new lover, and yet she risks losing it all by carelessly chasing the skirt of the babysitter. Again, what is she thinking? But also, once again, such is the nature of creation by default. Getting off this carousel of ignorance can be challenging, and those who ride it often have to “bottom out” on their way to reaching a point where they crave change. As painful and difficult as that can be, however, it nevertheless provides a starting point for charting a new course. 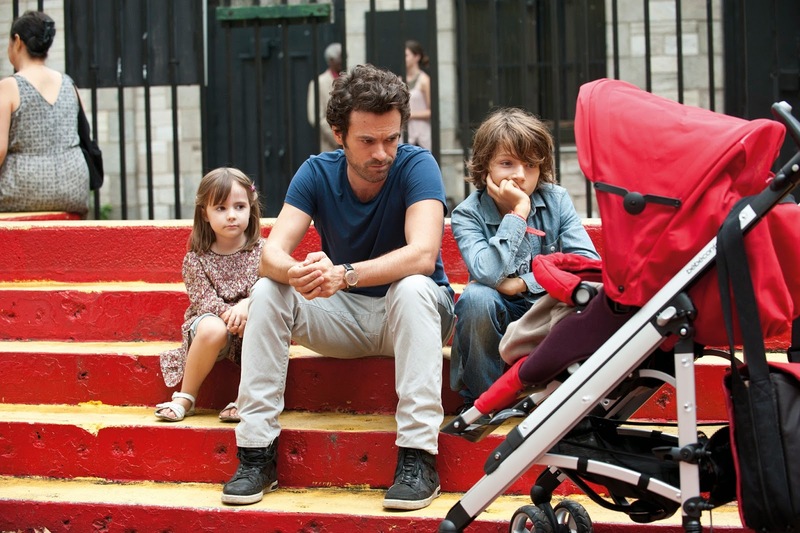 An unexpected visit from Martine, an old flame (Audrey Tautou, left), prompts novelist Xavier Rousseau (Romain Duris, right) to contemplate the future of their relationship in the new comedy, “Chinese Puzzle,” the third film in a trilogy from director Cédric Klapisch. Photo courtesy of Cohen Media Group. To make effective use of this opportunity, those of us seeking change must take several important steps. First, we must make a concerted effort to choose to be “conscious” about our lives and how they unfold. Willfully opting to remain oblivious won’t change things, so getting onto the conscious creation path truly requires getting serious about doing things with a purposeful sense of awareness. 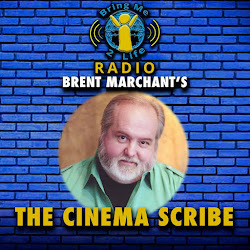 Second, embracing a more conscious outlook about how life materializes impels us to realize that we’re in the driver’s seat, that we’re directing the show. At the same time, it also requires us to realize that we’re the ones responsible for what transpires. When we embrace the un-conscious approach, it’s easy to abrogate our sense of responsibility. But, when we opt for something a little more engaged, we can no longer turn a blind eye to what we manifest. If we create something, it also means we conceived it, for better or worse, and there’s no escaping who’s responsible for the outcome. Finally, once we’ve come to the foregoing realizations, it would behoove us to understand that we get the best results when we’re honest with ourselves. Getting a handle on what we really want to create – and then backing up those desires with appropriate manifesting beliefs – bring us that much closer to materializing hoped-for outcomes. This requires us to operate with integrity, being sincere with ourselves and our intents, an approach that may prompt dilemmas and hard choices. But, when we see what we get for such actions, the effort is certainly well worth it. Xavier and his pals need to wise up about this. 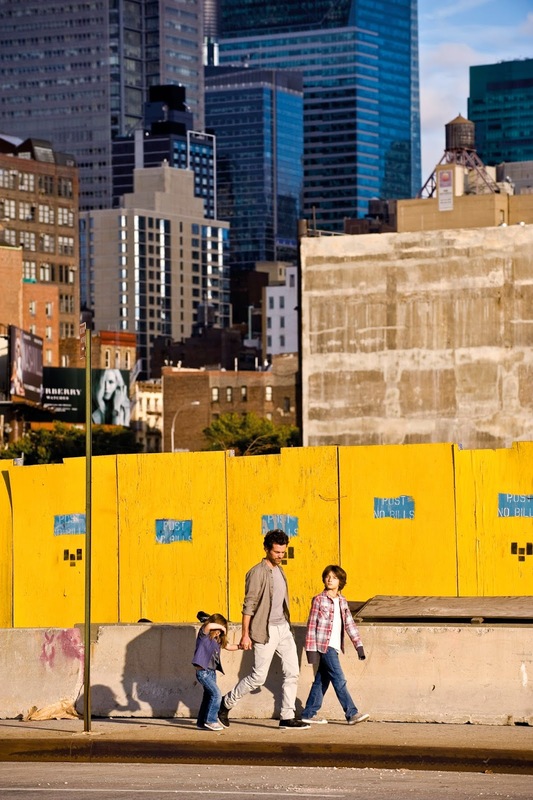 Life in New York is a far cry from life in Paris, as novelist Xavier Rousseau (Romain Duris, center) and his kids, Tom (Pablo Mugnier-Jacob, right) and Mia (Margaux Mansart, left), discover for themselves in “Chinese Puzzle.” Photo courtesy of Cohen Media Group. “Chinese Puzzle” is a mildly entertaining comedy that, unfortunately, takes its central premise and makes it all a little too obvious. In making its point, the seemingly forced madcap narrative becomes excessive – and eventually tiresome – despite the general likability of the characters and overall story. Unresolved plot threads, the inconsistent use of novel storytelling elements (clever though some of them may be) and the underdevelopment of certain supporting characters take away from what could have been a much more engaging film. When looking for answers to life’s complexities, we can save a lot of time and effort by first looking to ourselves. The causes – and solutions – don’t lie “out there somewhere” but, rather, within each of us. Being willing to take such a step may require embracing a more responsible approach than we’d like or that we’re used to, but doing so will get us to a satisfactory resolution and a deeper understanding of circumstances more quickly and easily. Indeed, solving the puzzles of our lives need not be difficult as long as we’re willing to figure out how the pieces fit together rather than blaming them for not doing so on their own. “X-Men: Days of Future Past” (2014). Cast: Hugh Jackman, Patrick Stewart, Ian McKellen, James McAvoy, Michael Fassbender, Jennifer Lawrence, Halle Berry, Ellen Page, Peter Dinklage, Nicholas Hoult, Omar Sy, Shawn Ashmore, Evan Peters, Josh Helman, Mark Comacho. Director: Bryan Singer. Screenplay: Simon Kinberg. Story: Jane Goldman, Simon Kinberg and Matthew Vaughn. Web site. Trailer. Life in the near future is pretty dismal in the world of the X-Men, “mutant” beings who possess a variety of special capabilities that set them apart from their fellow humans. Their abilities represent the next step in the species’ evolution, but not everyone is comfortable with them or their unique faculties, a prejudice stretching back many decades. In fact, that long-standing fundamental distrust was responsible for spawning an enduring war that now plagues the planet, making the earth an exceedingly dark place. With the development of mutant-seeking robotic weapons known as Sentinels in the 1970s, the globe was plunged into a hellish nightmare pitting humans and the evolved outcasts against one another, a battle that has relentlessly raged into the present. To combat these horrific conditions, a band of X-Men takes refuge in a Chinese monastery to devise a plan for ending the conflict once and for all. The group is led by one-time mutant mentor Professor X (Patrick Stewart) and his former adversary, Magneto (Ian McKellen). They seek resolution to a war that started in response to the murder of the Sentinels’ developer, Dr. Bolivar Trask (Peter Dinklage), in 1973. Trask was killed at the hands of a mutant named Mystique (Jennifer Lawrence), who was outraged that he had used her peers’ DNA to develop weapons capable of specifically targeting them. Trask’s murder so frightened the human population of the mutant “threat” that his weapons program, which initially received tepid support, was given the green light with the official blessing of its chief proponent, President Richard Nixon (Mark Comacho). In considering possible remedies to their plight, the X-Men draw upon the insights of Kitty Pryde (Ellen Page), a mutant capable of peering into and guiding the minds of others. She proposes sending the consciousness of one of her fellow mutants across time to a point before Trask’s murder in hopes of preventing it, thereby changing the time line – and all of the subsequent fallout that came from his death. As plausible as the plan sounds, however, it’s fraught with risks, and only one of the X-Men appears up to the challenge – Wolverine (Hugh Jackman). For the mission to succeed, Wolverine must stop Mystique from carrying out her plan. But, as daunting as that task might be, he’s advised that he need not act alone; his colleagues encourage him to seek help from their younger selves. Professor X and Magneto thus inform Wolverine how he can contact their youthful counterparts (James McAvoy and Michael Fassbender, respectively). However, to make the plan work, there are a few hitches to overcome. First, since Wolverine will be meeting his contemporaries’ younger selves at a point before he met them in the current time line, he’ll have to convince them of who he is, how he knows them and what he’s doing there, objectives that may be much easier said than done. And, second, the scenario into which Wolverine will step is set to play out at a precarious point in human history – at the time of the signing of the Paris Peace Accords ending the Vietnam War. With the world on edge over this uneasy truce, it wouldn’t take much to set off a panic – one with the potential to carry on many years into the future (circumstances that the X-Men have since become all too familiar with). With the fate of the world hanging in the balance, Wolverine embarks on his mission, hopeful that the present he knows can be wiped out by changes to the past. His success, however, will depend on his effectiveness at convincing himself – and others – that a different path to the future is possible. But it’s a path that’s only attainable by those who believe that it can unfold. 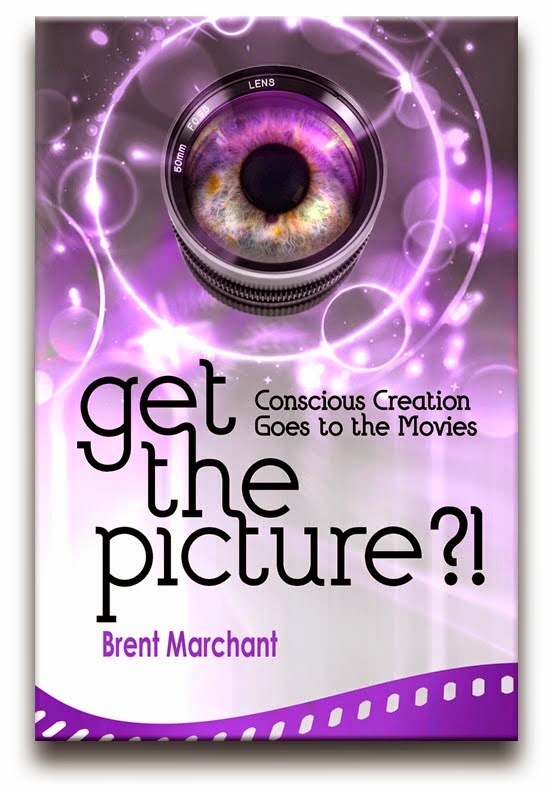 The belief in the possible, of course, is what makes the conscious creation process work. And, in carrying out his quest, Wolverine must change the hearts, minds and beliefs of those who are chiefly responsible for bringing into being what will eventually transpire. Several key belief components must be put in place if the X-Men’s plan is to work. Foremost among them is the notion that the past can be rewritten, a significant challenge given what many of us perceive to be the persistence and infallibility of memory. Many of us see the past as fixed and unchangeable. But memories, like virtually any of our other thoughts, are belief-based and, consequently, susceptible to alteration. For example, think about how we remember a particular event. Many times we’re positively certain that we recall exactly how it played out. But, when we uncover evidence that our recollection may be “faulty” (evoked by tangible artifacts associated with the event, the accounts of others, etc. ), we may also find that we need to reassess what really happened. Such exercises change not only our perceptions of what occurred, but also the nature of the circumstances associated with them, effectively altering what we believed to have actually transpired. That knowledge thus changes us in our present, because the path that got us to where we are now has also been amended. And a changed present thereby opens up the door to an alternate future, one that may be very different from what we might have anticipated would unfold going forward. Expected hardships, for example, may simply remain probabilities that fail to materialize, because they don’t have the required “temporal support” behind them to make them manifest. These notions are not just pie-in-the-sky New Age hype, either. In addition to their applicability in a conscious creation context, the thinking underlying these ideas is also part and parcel of the theories driving quantum physics. So the X-Men’s proposed plan is thus more than just philosophical or fictional conjecture; its plausibility has a basis firmly rooted in science, strange though the idea may seem to the skeptical. But embracing beliefs about the viability of changing the past are not the only convictions that need to come into play in this story. The X-Men of the past must take a cue from their future counterparts and learn to believe in themselves. To do less would invite trouble, as their future selves come to find out in extremely painful ways. As mutant beings, the X-Men of the 1970s represent a distinct minority, one that’s mistrusted by society at large and often made the object of scorn. However, like any other minority, they must learn to step forward, courageously and with integrity, to live their lives as their true selves. Indeed, as virtually every other persecuted group has discovered throughout history, the mutants must learn how to assert their identity and insist upon their rightful, inclusionary place in society. Unfortunately, these initiatives didn’t receive adequate attention when the X-Men first appeared on the scene. Instead, they were encouraged to keep a low profile, an ill-advised attempt at placating the feelings of a prejudiced majority. But, as other minority groups have discovered for themselves, such steps simply don’t work in the long run; their implementation often leads to second-class status – or worse. Wolverine’s journey into the past thus must also be aimed at helping his youthful colleagues foster beliefs about having the courage to be themselves, no matter how much they might be perceived to be “outcasts” by the rest of society. He must encourage them to have faith in the validity of their powers and their ability to freely exercise them for the betterment of society, no matter what others may think. This is a particularly crucial concern for Professor X’s younger self, given the important mentoring role he’s eventually destined to play, not to mention his particular efforts in helping Wolverine rewrite the time line. And, by extension, it’s also an inspiring metaphor for the members of any minority group seeking to attain the respect and recognition they truly deserve. At first glance, “X-Men: Days of Future Past” may seem like an odd selection when it comes to cinematic explorations of such heady issues. However, despite the story’s comic book roots, there’s nothing at all silly or cartoonish about this offering. 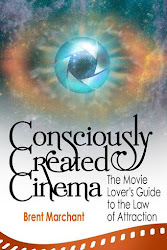 The film is an excellent showcase for the metaphysical notions it examines, and it does so with a degree of maturity and sophistication not often found among pictures of this genre. Those who would dismiss it simply on the grounds of its pedigree will miss out on a fine philosophical treatise. The picture is a flat-out winner on all fronts. Its terrific special effects provide ample visual appeal, but the film does not rely on them to carry the plot. It features an intelligently conceived storyline, with a top-notch script to back it up, one full of thoughtfulness and whimsical humor (especially in the ʼ70s flashback sequences). And, even though this is the seventh film in the “X-Men” franchise, one need not know its history to grasp the story here; sufficient background is provided to inform new viewers without such information becoming excessively intrusive. What’s perhaps most impressive, however, is the picture’s exceptional acting, a definite cut above what’s seen in most action films. The truly stellar cast brings these characters to life as believable individuals, not as live action versions of comic book figures. That’s quite an accomplishment, but, when one considers who the filmmakers had to work with, it shouldn’t come as much of a surprise. Perhaps the only drawback of the film is its underdeveloped use of 3D photography. As with many of today’s releases that employ this cinematic technology, the picture simply doesn’t make use of it as effectively as it might have, which is a disappointment, to be sure. However, this is a minor shortcoming in the greater scheme of things and shouldn’t deter viewers from enjoying what is an otherwise-terrific piece of filmmaking. Seizing upon our power – or our failure to do so – has consequences that we seldom see forthcoming. Unless and until we become more prescient in this regard, we would be wise to make use of the talents we’ve drawn to ourselves (after all, if we weren’t meant to have them, then why would we have attracted them in the first place?). “Days of Future Past” makes this point plainly apparent, showing us how to lead lives of purpose and fulfillment, without succumbing to timidity or regret. It shows us not to be afraid of who we are, what we create or the realities we manifest for ourselves, for, if we courageously follow those pursuits, we’ll all surely have a future to look forward to.